If you’re like most people, you probably don’t relish the thought of your dentist drilling inside your mouth to fill a cavity with various materials. The very prospect may even dissuade you from booking a check-up in the first place. But what if we told you there could be soon be a better way? Scientists have discovered that a drug developed for Alzheimer’s patients can encourage the tooth to mend itself by stimulating stem cells. In other words, this drug could one day replace fillings for cavity repair! If trials are successful, this could become the quicker, cheaper and more effective option. 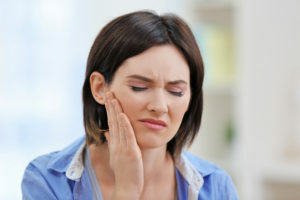 Although dentists would still use a drill (to clean out decay), researchers anticipate that patients won’t need subsequent treatments to resolve any infection or erosion that can occur with conventional fillings – since the tooth will heal completely. The drug, called Tideglusib, stimulates stem cells in the pulp of your teeth to create new dentine. As one of the four main components of your teeth, dentine is important because it prevents pain from travelling to your nerves. This mineralised substance protects the pulp and contains tissue and tubules that communicate with the nerves of your teeth. Chances are you’ll start to feel an ache in your teeth, if your dentine is exposed through a cavity. Not many people realise that our teeth can naturally regenerate dentine, but only if the pulp becomes exposed through trauma or infection. Even then, this isn’t enough to repair damage caused by decay. This is where the Tideglusib drug comes in – it turns off the GSK-3 enzyme that prevents dentine from forming. Teeth can then regrow enough dentine to repair cavities. How did this discovery come about? Researchers from the King’s College London successfully rebuilt the teeth of mice by filling cavities with a biodegradable sponge soaked in the Tideglusib drug. In the trial, they found that teeth were gradually able to rebuild. The dentine had filled out completely by the end of the fourth week when the collagen sponge had effectively disappeared. The team hadn’t yet tested the drug on humans, when their research was published earlier this year, but they’ve been busy testing this method on rats, whose teeth are four times larger than mice. Why is this method preferable to conventional fillings? Dentists are currently using man-made cement or calcium and silicon-based fillings to treat cavities, but these can leave teeth vulnerable to infection or erosion further down the track. You might need to have multiple treatments, or eventually undergo a tooth extraction if you have a large cavity. The material in fillings also never disintegrates, which hinders the development of optimal mineral levels in the tooth. “The tooth is not just a lump of mineral, it’s got its own physiology. You’re replacing a living tissue with an inert cement,” lead researcher Professor Paul Sharpe told the Guardian. “Fillings work fine, but if the tooth can repair itself, surely [that’s] the best way. You’re restoring all the vitality of the tooth,” he said. Researchers hope this new method will encourage natural tooth repair, as well as eliminate the need for subsequent treatments that can occur with conventional fillings. For now, fillings work best…. It could be some time before cavities are being treated with the Tideglusib drug, if this method turns out to be a viable option. In the meantime, if you have a cavity, the sooner you get this treated, the better for you!